Indonesia boasts more coral reefs than any other country in the world, 85,000 km2. Its waters have more than 550 species of coral and more than a quarter of the world's freshwater and marine fish species can be found here. The Gili Islands are a small archipelago consisting of Gili Trawangan, Gili Meno and Gili Air stretching out from north west Lombok in Indonesia. The marine life surrounding these low lying islands is a divers paradise. 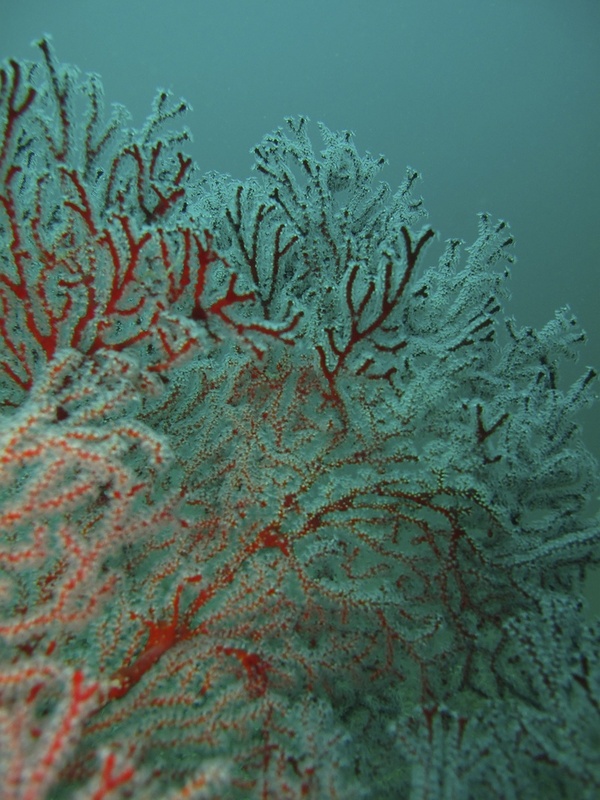 In recent decades the reefs have suffered from a changing climate causing warmer waters and acidification. Most of all it has suffered human destruction in the from of pollution, unsustainable fishing practices, ignorant diving and anchoring have all played part in the ruining of these diverse ecosystems. The local initiative Gili Eco trust have since 2004 installed 40 reef structures around the coasts of the Gilis in order to help sustain diversity here.